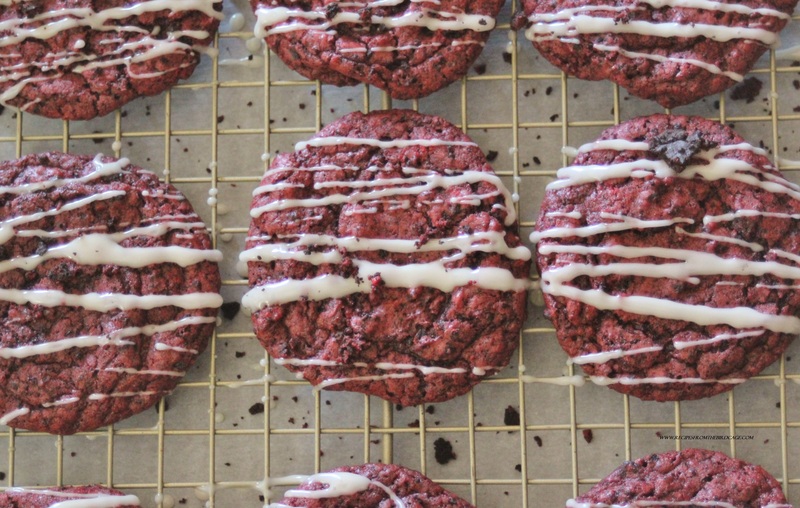 Red Velvet Oreo Cookies – recipes from the birdcage. What happens when two of my favorite sweets combine? Umm. Magic. One of my many, many Target shopping binges inspired these cookies. After Christmas, I’d grabbed three packages of Winter Oreo cookies because they were on clearance. I’m not really sure why, although I do love Oreos, because I try not to keep prepackaged sweets in the house. We have enough homemade treats at any given point due to my slight baking obsession. Still, my practicality is seldom strong enough to withstand 89 cent packages of Oreos. 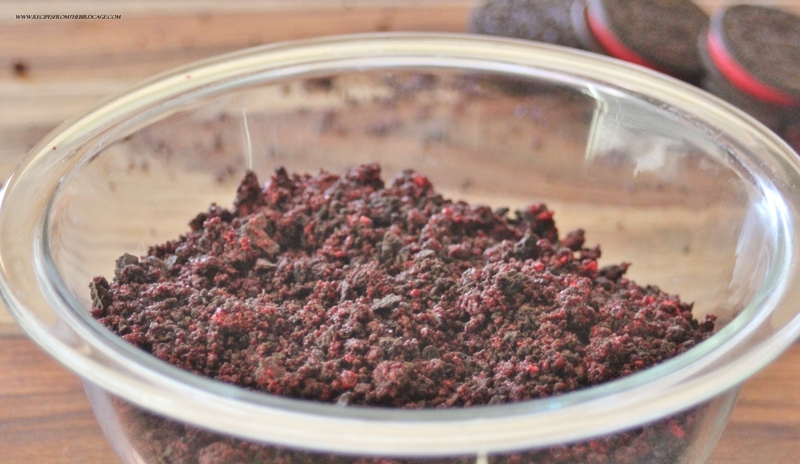 Pulse your cookies in a food processor until small crumbs form. 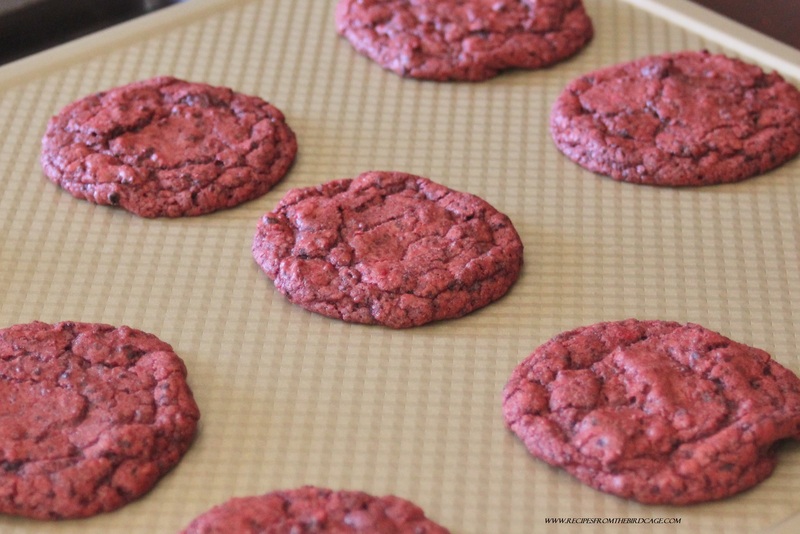 I have had Red Velvet Cookies before. I have had Oreo Cookie Cookies before. 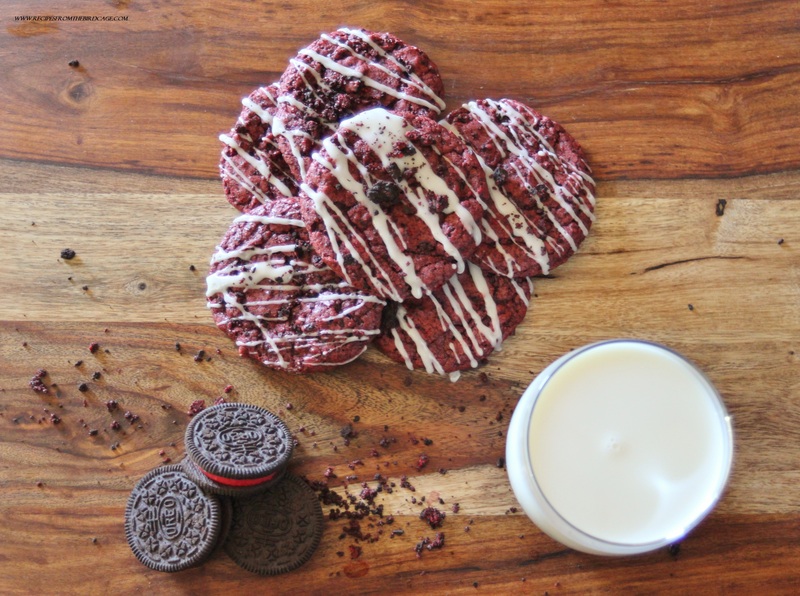 Since the filling of the Oreos is red, it inspired me to do Oreo Red Velvet cookies to try and “hide” the filling. I made these not just for the blog, but to put on a platter as a thank you for the Easy Bake oven my neighbors had gifted our daughters for the holidays. I figured that a thank you card one month late would be better received if accompanied by a plate full of fresh cookies, right? Of course, it goes without saying that these can absolutely be made with “regular”, non holiday cookies. When it comes time for icing, I find the clean up much easier if I place the baking rack on top of foil, wax paper, or parchment as seen below. 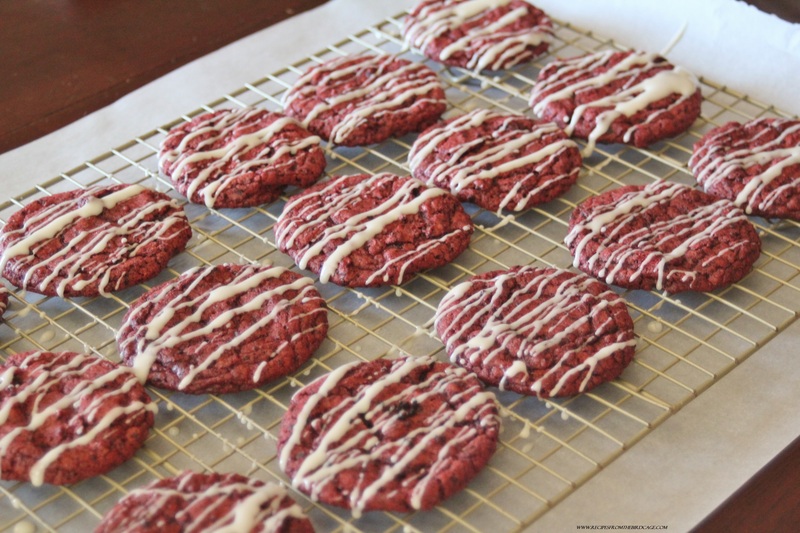 This recipe makes exactly 24 cookies, using a 1-inch OXO brand cookie scoop. I set the dough into the fridge for 30 minutes to rest and firm up, which also makes it easier to get uniform cookie scoops. Bake the cookies on parchment paper lined baking sheets for 9 – 10 minutes. To retain the chewy interior, do not overcook these. I also sprinkled the freshly glazed cookies with extra Oreo crumbs, but this is completely optional. Enjoy! 2. In the bowl of a stand mixer (or large bowl with hand mixer), cream together the butter and sugars. 3. Scrape bowl. Add in egg, vanilla, and food coloring. 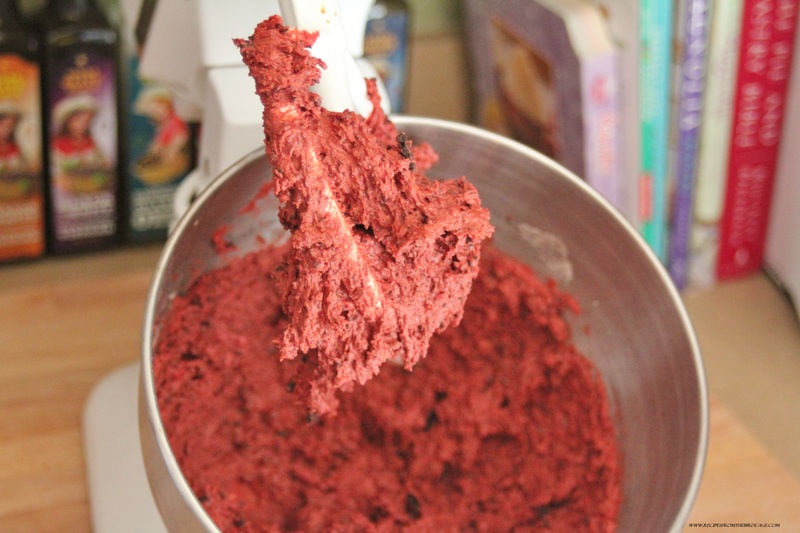 Beat until combined, raising speed gradually so the red dye does not slosh out of the bowl. 4. In a medium bowl, combine flour, baking soda, and salt. Stir into butter/egg mixture until just combined. 5. Stir in 2 cups crushed Oreos. Set dough into fridge for 30 minutes to chill. 6. On parchment paper lined baking sheets, scoop about 1 1/2 T. of dough (or use a 1-inch cookie scoop). 7. Bake for 9-10 minutes until edges are set and middle of cookie is no longer wet. Let rest on cookie sheet for two minutes before transferring to a cooling rack. 8. In a small bowl, stir together powdered sugar, light corn syrup, vanilla, and milk until a glaze forms. 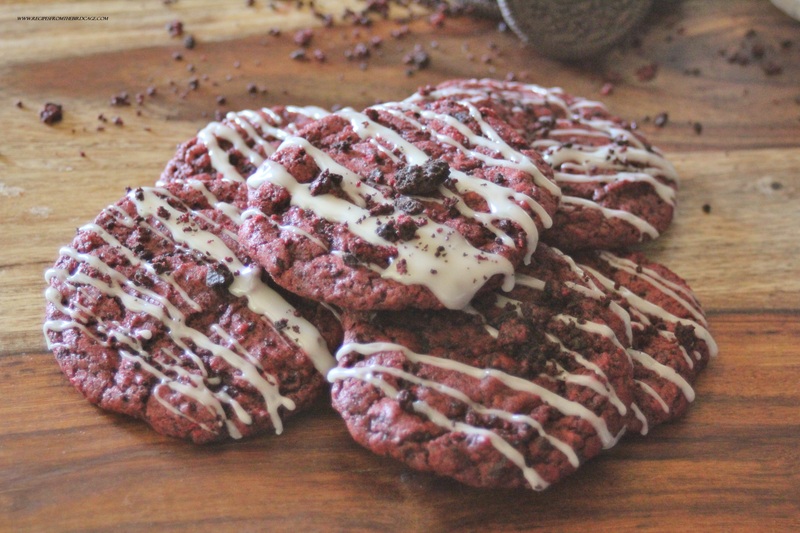 Drizzle cookies with glaze and garnish with reserved crushed Oreos, if using. 9. Allow glaze to harden, uncovered, for about 30 minutes. Cookies should last at room temperature, covered, for up to 3 days.